Wireless AirPods deliver an industry-leading 5 hours of listening time on one charge. To adjust the volume, change song or make a call, just double-tap to activate Siri. 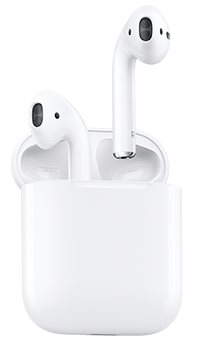 We'll let you know when we have updated stock information on the Apple AirPods .